Roxburghe House – rolling back the years in Regent Street. 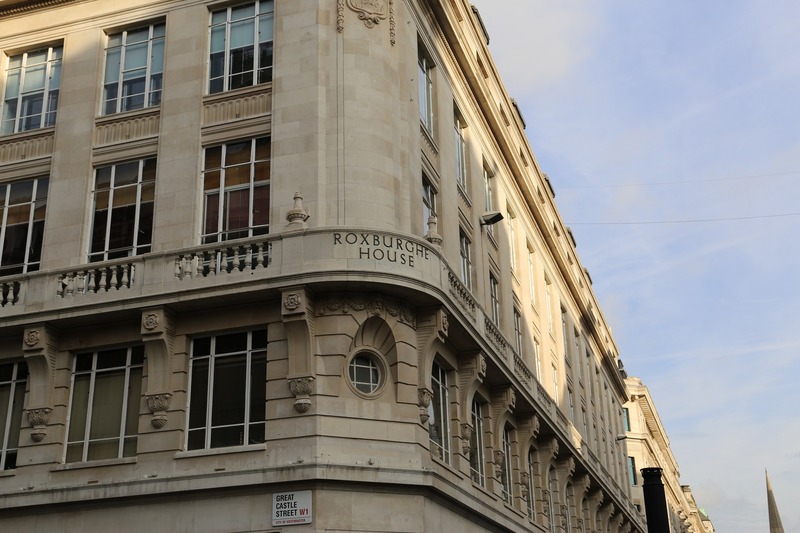 When Thomann-Hanry® started out in the UK, one of the first projects we quoted was Roxburghe House on Regent Street. Before the days of vacuum cabins mounted on hydraulic booms, the entire project was carried out from scaffolding. Ten years later, we were back – completing work on the very same building as the main contractor to the Crown Estate, under the direction of JLL. This time, work was carried out with the non-scaffold system with which we have become synonymous, minimising disruption and delays as we wound the clock back to the building’s appearance in its heyday. The façade was cleaned, windows repainted, stone restored and slates re-fixed – all out of hours and affecting neither tenants nor retail units. This transformative project should see Roxburghe House through to 2027, when hopefully Thomann-Hanry® will be back again.